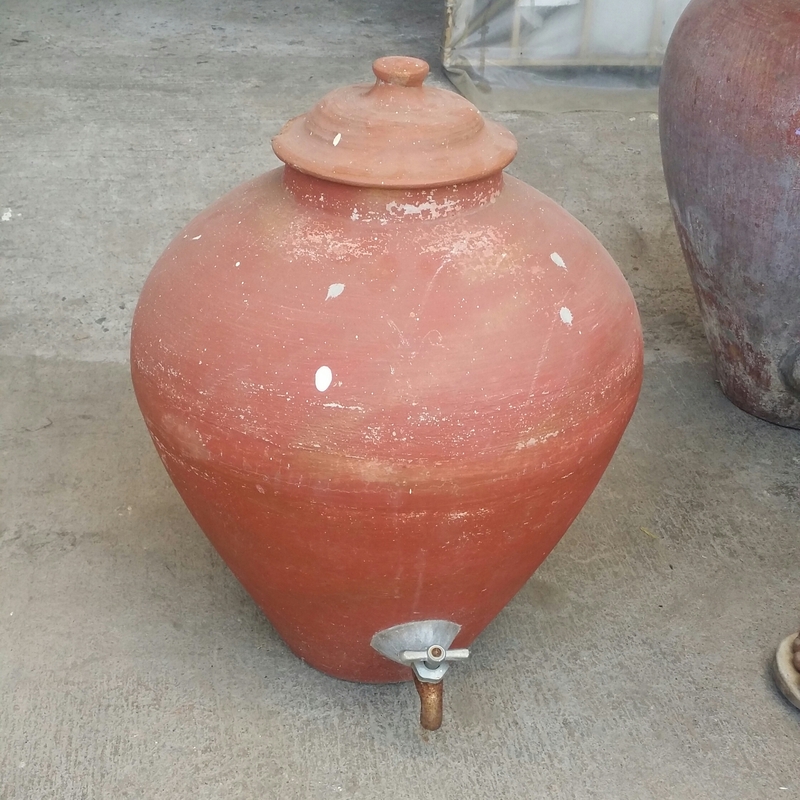 Stoneware water cooler is a tool used to store liquids specially drinking water. People in different places has different names for them. 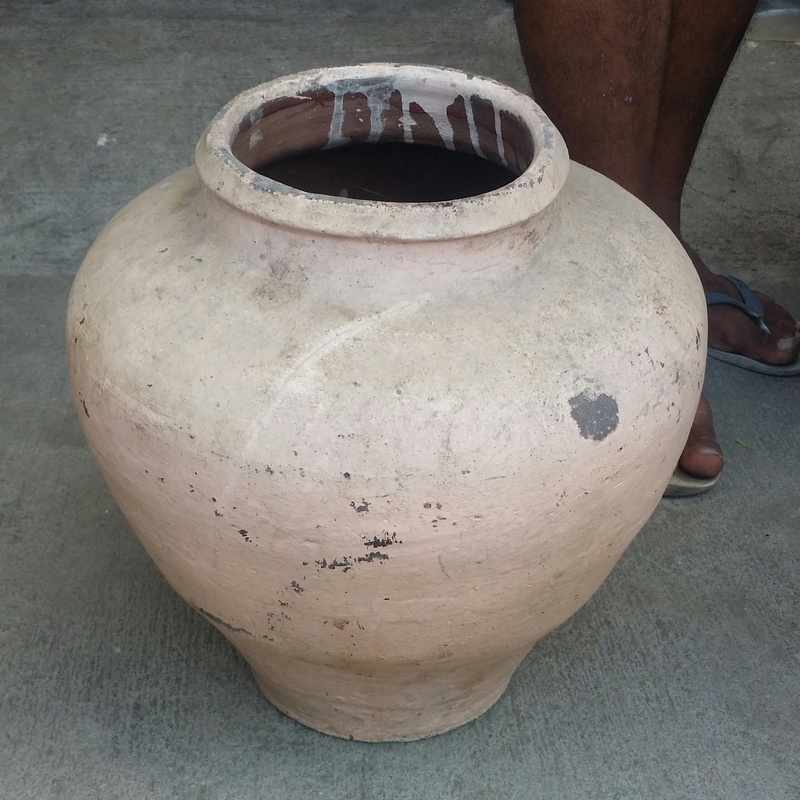 Some call them earthen water pot, while others call them clay water pot. In some places they call them Makti. And here in the Philippines we call them Banga and Tapayan. 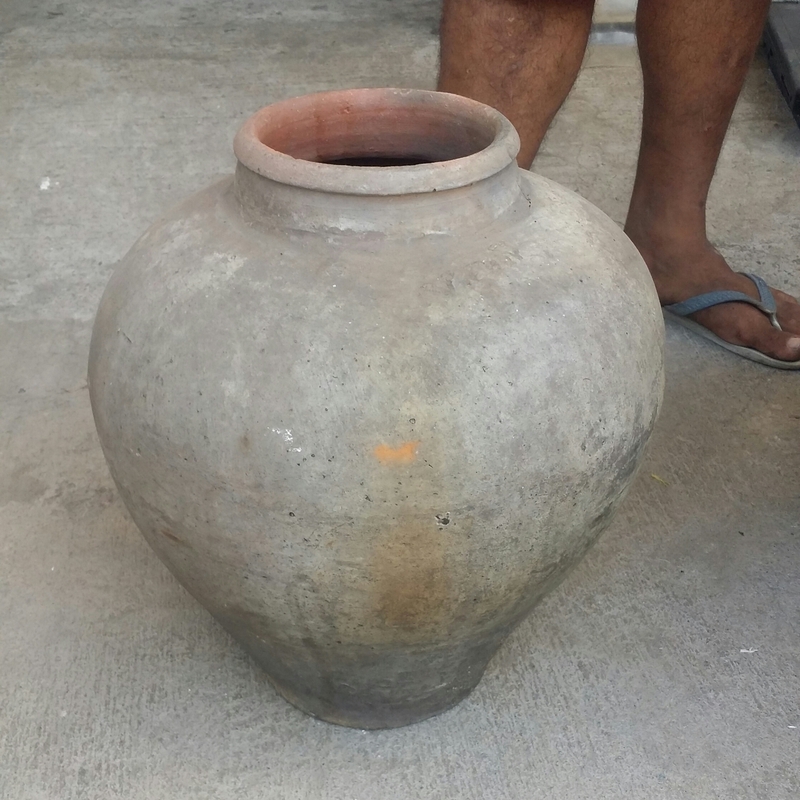 The stoneware water cooler is usually made from heating clay to a certain degree and then cooled. The end product is the stoneware water cooler. There are many uses for them. And it is especially used as a water cooler for home when the refrigerator was not yet a household necessity. 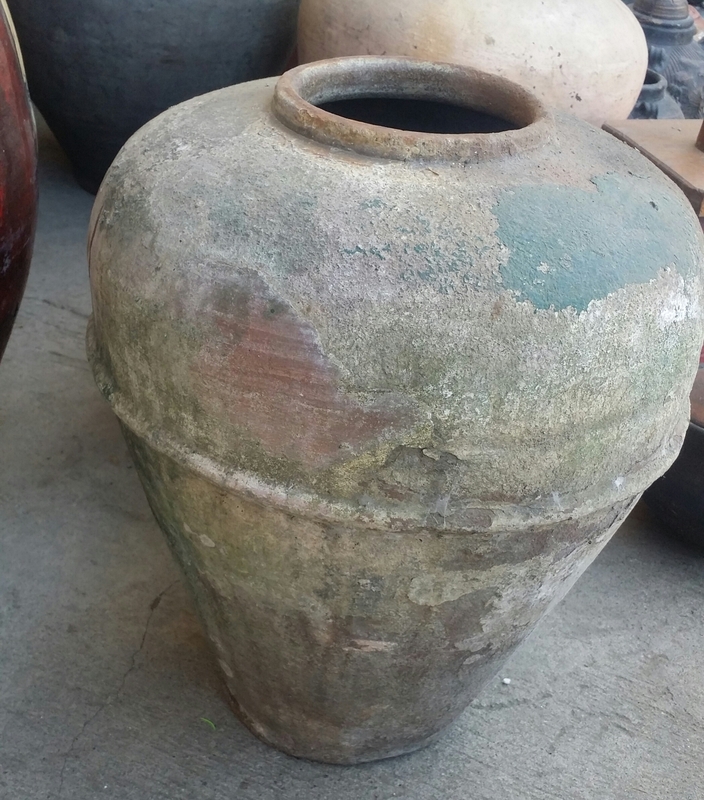 There are many Vintage stoneware water cooler still available. And For every place or region you can see that there is a difference in design. 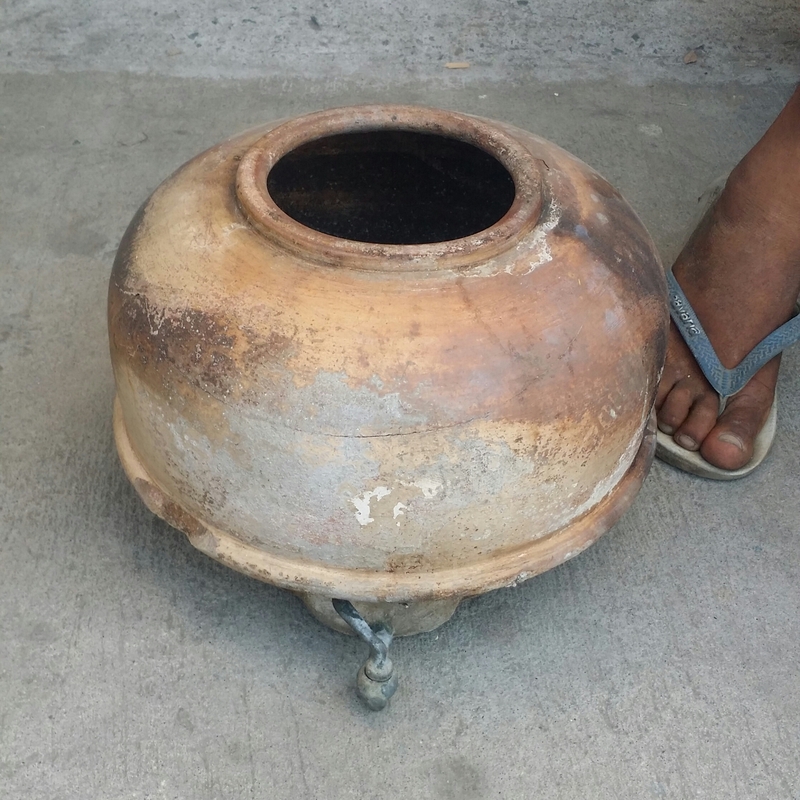 Here in the Philippines the stoneware water cooler is usually called a banga or tapayan. You will see in the pictures that they have different designs. Some even have faucets to easily get water or liquid from it. While the others design doesn’t have any. 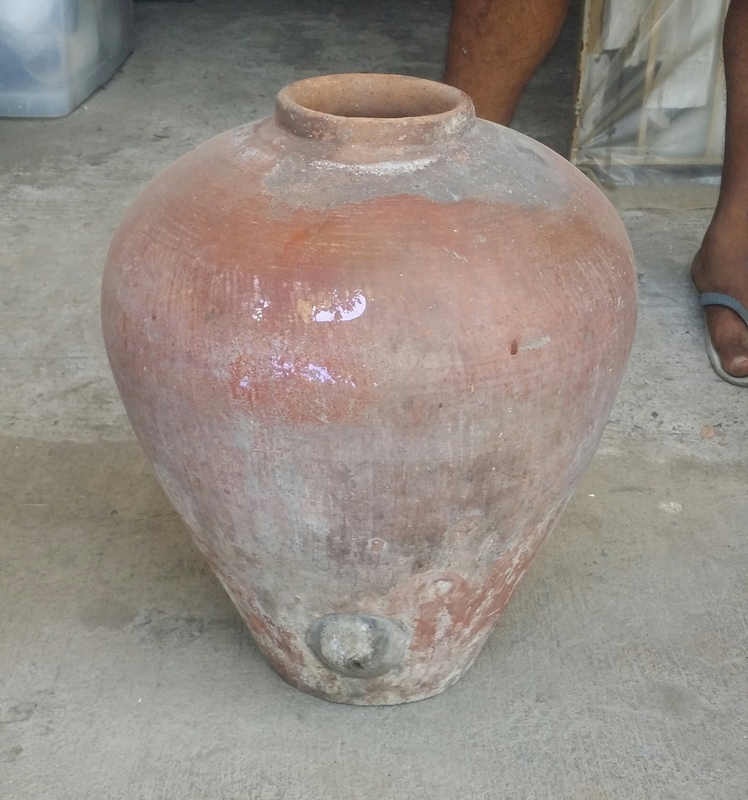 In that case people who want to get water from it uses a laddle or scoop to transfer water or drink directly from it. 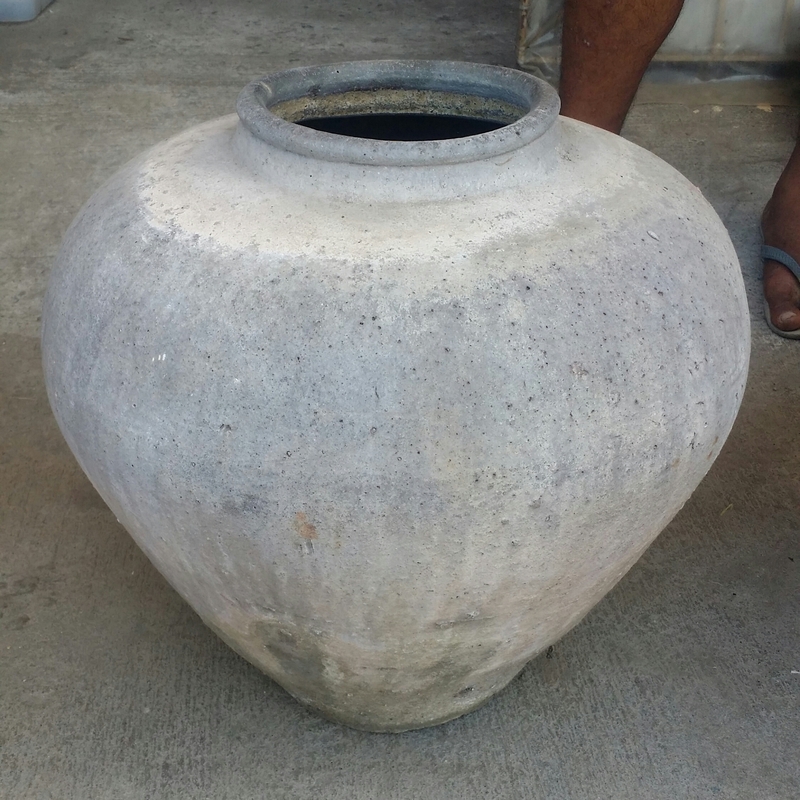 Stoneware water cooler or tapayan is also used to store vinegar in some areas in the Philippines. 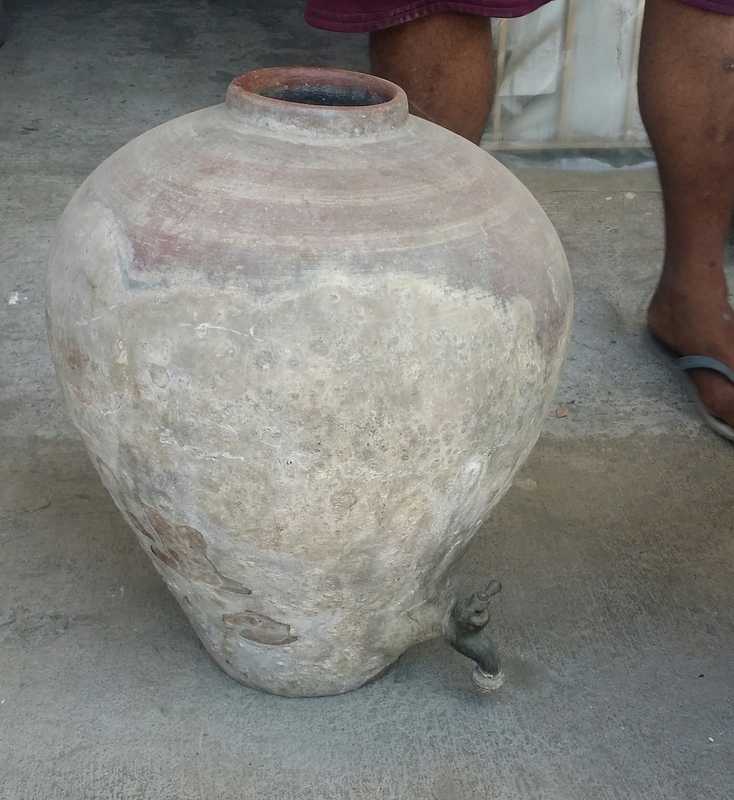 I also read somewhere that in the province of Quezon they use banga or tapayan to store their lambanog (local version of gin or vodka) in it before. Here in our area the most prevalent stoneware water cooler has a faucet and it was used in the old days as a water cooler for home. 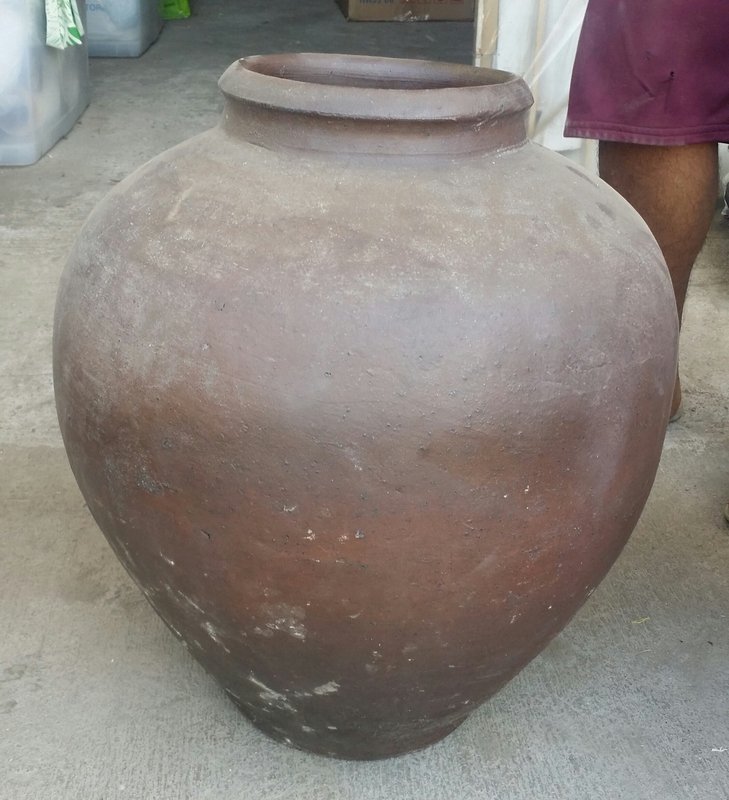 There are also people who said that they use tapayan as a way to store rice from. I think that when I was still a kid we also used to store rice in it. Also someone said to me before that the banga and tapayan that came from Vigan is one of the best handcrafted one’s that were made in the Philippines. In some of the Vintage stoneware water cooler you can see some markings on it. 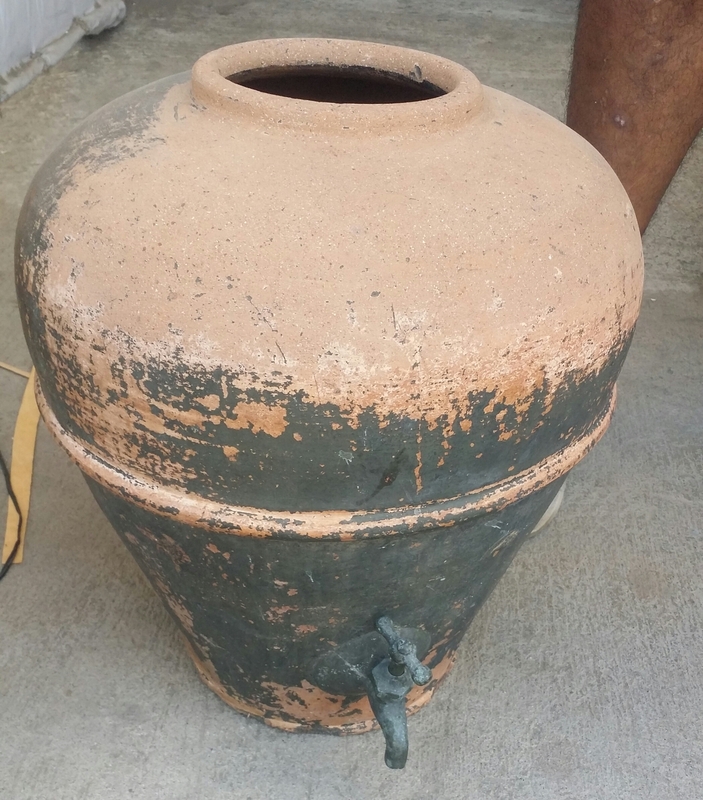 Experts on this vintage stoneware water cooler can then trace the place of its origin. I still remember when I was still a kid and when we visited relatives in the provinces who has no access to electricity still uses them as a water cooler for home. That was in the 1980’s. I fondly recall that i was excited to drink from it because I didn’t get to experience it at our house. I can say that the water was neither hot nor freezing. It was just right to quench your thirst. 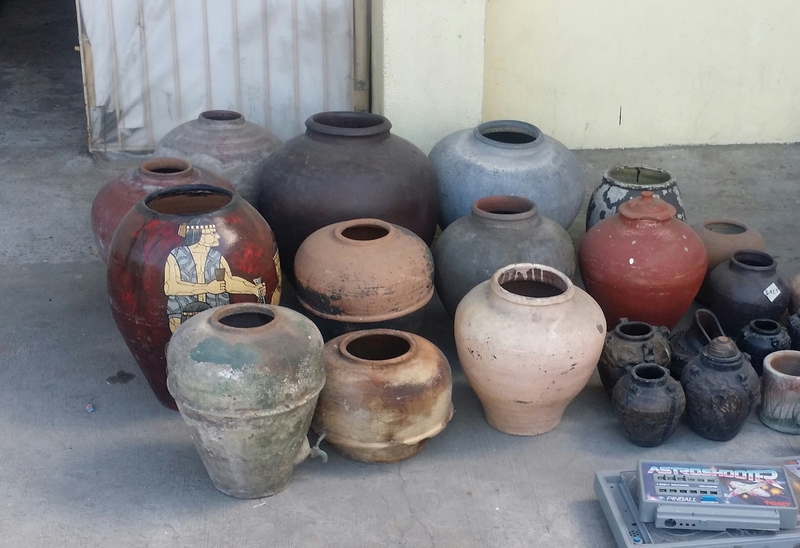 Stoneware water cooler, banga, tapayan, makti, earthen water pot, clay water pot or whatever you want to call them are now hardly used here in the Philippines because of the innovations of how we store our food and water. 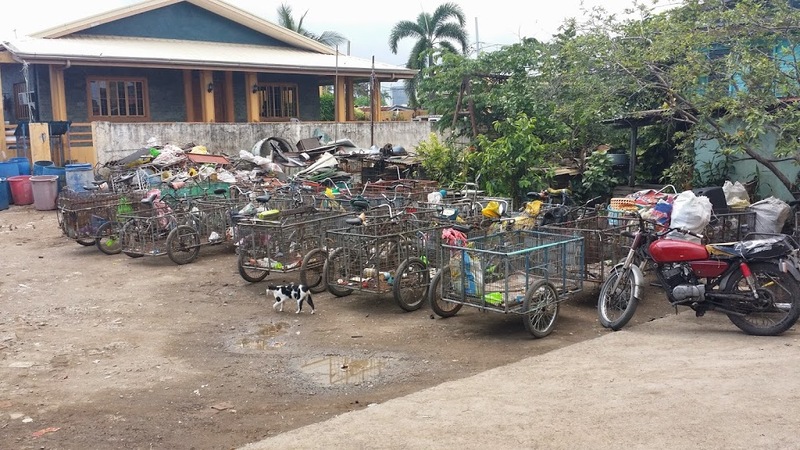 With the advent of Refrigerators and airtight containers, plastic water bottles and water dispensers people now use them instead of the banga and tapayan. Also the art of making stoneware water cooler is slowly fading away because people are starting to buy them less and less. But there are still people who collect them. Specially the vintage stoneware water coolers. Some of my banga and tapayan are much more older than me. and I am just happy that I was able to get a hold of them before they were thrown away or destroyed. Right now people here mainly use them as decorations or accents for their gardens and homes. 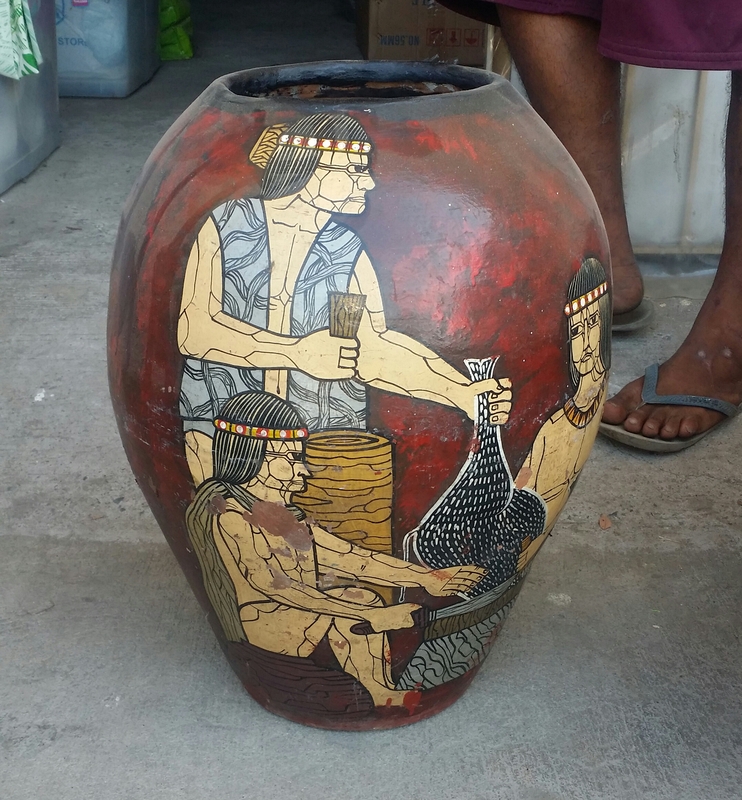 There are also some collectors here in the Philippines that want to preserve them. For me they are a big part of our history and I hope that we can preserve them to be able to show to the future generations. Where to buy these type of water dispenser? ?